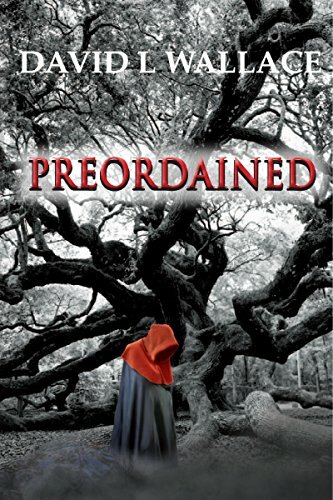 Preordained is a supernatural mystery thriller about a cop in Murrell’s Inlet, SC who’s seeking to solve a serial murder case that has biblical undertones. Operating under his self-appointed moniker, the Star of David Killer taunts lead detective Art Somers, the Georgetown County Sherriff’s Office, and the FBI, who are all attempting to solve the serial case. In the killer’s mind, his father preordained the abductions and murders. They are his way of fulfilling prophecy. Detective Art Somers has never given much credence to the local superstitious or religious beliefs in his county, but while working to solve the case, he starts to have paranormal visions that compel him to question his own sanity. It’s as if something or someone in the spirit world is attempting to communicate with him. His partner and love interest, detective Angela Hunter, sees things differently. She believes deeply in the supernatural, just like many in their county. As unexplained paranormal events and missing timeframes invade Art’s life, Angela helps him deal with the unthinkable reality that the serial killer they’re looking for could be Art himself. Who’s the killer? Art? Someone else? Join Art and Angela in this mind-bending whodunit and uncover an irrefutable truth that neither of them wanted to face. Someone is killing young 12 year old boys in Georgetown County, South Carolina. Detective Art Sommers’ son Ben could be next, so Art is taking precautions to protect him. This serial killer is meticulous with his crime scenes. With no evidence, there’s no trail to follow. The FBI is no help either. Art seems to find more leads than they do. When Art starts having visions of unexplainable events, he wonders if he is going crazy. He never believed in the superstitious mumbo jumbo that so many in that area did, but for some reason, something or someone is trying to communicate with him. This was the classic good vs evil story. I could feel the stress and anxiety that Art was going through, and it had me on pins and needles waiting to see how it turned out. I liked the main character of Art, but not many others, as I was suspicious from the beginning. That’s what made this story so interesting to me, not being able to figure the true killer out, or what will happen next. This version of biblical prophecy was a believable rendition of how it could happen. I like this author’s writing style and hope to read more from him.